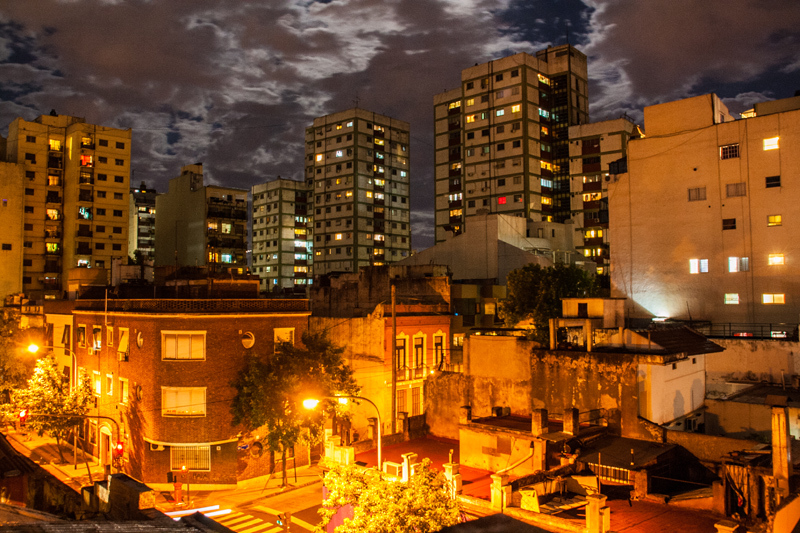 I’ve been in Buenos Aires for nearly three weeks now. I am here to attend a language school for four weeks to learn as much Spanish as I can prior to starting my extended cycle ride. I fly to Ushuaia at the very bottom of Argentina on the 30th November 2014 and shortly after will depart in the only direction possible, north, towards my ultimate destination of Deadhorse, Prudhoe Bay in Alaska. If you click on the links they will show you exactly where I am planning on starting and finishing. The finish is somewhat inauspicious due to it being the gates to an Oil Field. I have got a long time to find a way around that! As the clock ticks down towards the 30th November my mind is filling, slowly and surely, with hopes, fears and dreams. In a strange way my actual dreams at night are vivid enough for me to realise they are symbolising my fears. I have a recurring dream that tells me I am feeling vulnerable. That I will be shedding my layers of protection and putting myself into scenarios that will make me decidedly uncomfortable. Those scenarios are all to do with the weather (shelter from), food and water. My day dreams however are full of hope and excitement and positivity about how the trip will be and what I will encounter. I’ve been to some of the places before and seen photos of other parts. The thought of riding my bike through that scenery brings a rather large smile to my face. You don’t need to be a psychologist to deduce that I am putting a ‘brave face’ over the top of my worries. The archetypal swan; above the surface appears serene and graceful but below the surface is paddling like mad just to stay still. However, there is no way in the world I would have had the balls to have told the world that I was going to cycle across Europe before commencing a ride the entire length of the Americas unless I had learned how to manage my fears and the concept of ‘kidding yourself’. It is, however, a constant activity and can get draining. The hiatus between finishing the European trip and starting the Americas doesn’t help as I have more time to think up new problems rather than just getting on with it. That said, looking at the current weather conditions in Terra del Fuego it’s not such a bad thing! The beginning (Terra del Fuego/Patagonia) and the end of the trip (Dalton Highway from Fairbanks to Prudhoe Bay) have the potential to be problematic due to climatic conditions, lack of supplies and/or the terrain. In truth, I really don’t know what it will be like to cycle in Terra del Fuego and Patagonia. I have a preconception, as does every single person (bar one, who has done it) who has told me their fears about it. The good part is I’m not actually looking forward to it. That might sound strange but when I do get a day or two or more that I enjoy, the high is so much better. I am a weird mixture of pessimist and optimist. I always worry about the worst that may happen but embark on unusual escapades due to a thought that it might just be amazing. I have this longing for a life less ordinary. Everything in life is relative to yourself and for me to even start this trip is like landing a robot on a comet after travelling 6.4 billion kilometres. I’m so close to it that it is no wonder the emotions are piling up on top of each other. This is my rainbow and it stretches from Ushuaia to Prudhoe Bay. To have the chance to reach the end of my rainbow is a privilege. I know there won’t be a pot of gold or anything else at the end of it, but the journey is surely likely to be as diverse as all the colours of the rainbow. The beauty of it is they will be my colours that I paint. It will be unique. I hope by sharing it with the world, from the dark days to the wonderful days, it becomes more than a selfish pursuit of my dreams. I hope it encourages others to try something they think they couldn’t do, whatever that may be. thanks John, as Yazz once sang, the only way is up!…..
Plan for the worst and hope for the best. Your positive attitude will get you to your destination. Keep it up, proud to know you. Cheers Roger, I really appreciate your comments. Remember, don’t let the chimp take control. Wise words! It is a constant battle. Might have to get a mascot that I can project my ‘chimp’ on to! Hi Lucy, my bike is termed an ‘expedition tourer’ by the people who make it (Thorn). I bought it second hand a couple of years ago. As for repairing it, well I’ve fixed bikes since I was a kid so have a small toolkit with me and just do what needs doing when I can. Things will wear out, things will break but hopefully nothing major that I can’t bodge until I can get a replacement part! mate argentina is a great place you will love it and i know you will be fine mate.lets just hope those chicken legs you have can peddle you all the way!! personally i would have started at the top and cycled downhill! !